The photograph attached was taken by the crew on board the Columbia during its last mission, on a cloudless day. 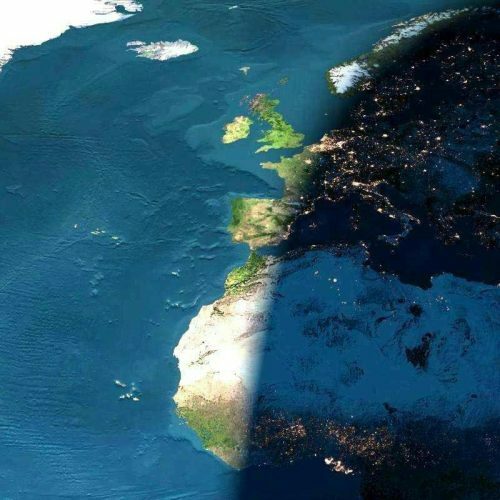 The picture is of Europe and Africa when the sun is setting. Half of the picture is in night.